The first season started with Kareena Kapoor Khan's episode followed by Sonakshi Sinha, comedy king Kapil Sharma and now the makers have released another interesting episode featuring young generation's star actor Varun Dhawan. During his interaction with Varun, Arbaaz Khan asked him about how he deals with trollers and that he has been seen many times, giving it back to them. 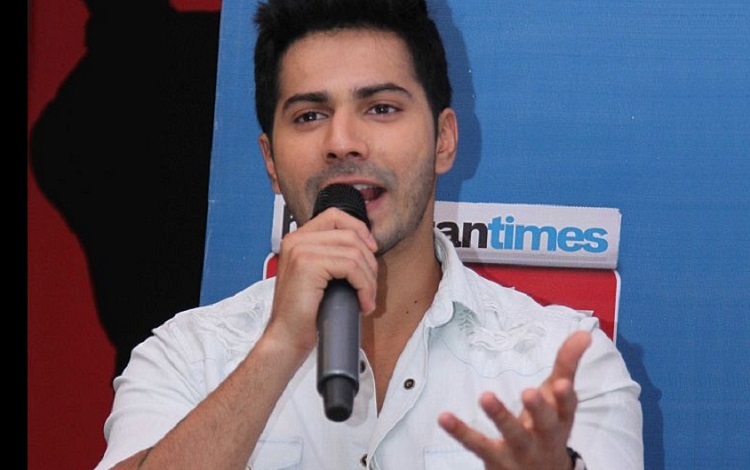 Along with sharing his thoughts on dealing with social media negativity, Varun also spoke about his infamous controversy revolving around comparing Hollywood film Inception and Leonardo Di Caprio with his film Dilwale. Varun said, "Dilwale's trailer was launched and it received its fair share of criticism and one person told the press that we saw the trailer but we didn't understand anything out of it. So I was there at that time, I felt it's a big film and is receiving mixed reviews. I was trying to be cheeky and I asked them, have you seen Inception trailer, so they said yes. So I asked them did you understand the plot or anything out of it, so they said no they didn't understand anything. Then I said Yes, even 'Iska bhi nahi samajh aya, so iske baare mein kyu likh rahe ho'. After I said this a few people laughed, maybe it's a stupid statement, I am stupid and I agree. From that day onwards, everywhere, everyone wrote, 'Varun Dhawan says Dilwale is like Inception'. But, never in my life, I have ever said that Dilwale is like Inception. It was written by some journalist and to his credit, it has gone viral. Anyone can write anything but yes I invited it. Since then there have been some trollers who do many creative stuffs. Leonardo Di Caprio is one of my favorite actors, so even if it's trolling and if it's fun, I think it's very cool man. Even if you'll are doing it for fun, I don't mind it. You love me or you hate me, you're doing my publicity only. Toh karna hai toh karle beta." He further concluded it by saying, "To hate me you'll have to go to see my films. So go buy my film's tickets, see the film and then if you have to hate me, hate me." Further, Arbaaz asked Varun that he also gives it back to his trollers. Agreeing to this Varun said, "I love giving it back to the trollers. I don't mind getting trolled, I'll be honest. See if you are not trolled you're not famous. There is a thing in your head where you wanna be liked by people. It's in human psyche where you want people to tell you that you are so nice, you have such good qualities, you're such a good boy, you have done so many good things." For eg: Today I helped a little boy crossed the road, so you will speak about that, you won't speak about me breaking the signal, no one will post that on social media." Produced by QuPlay, Quick Heal Pinch by Arbaaz Khan has 10 episodes of approximately 20 minutes each and will be streamed online once a week on QuPlay's YouTube channel. The show is written and directed by Abbiy Obheroii. Other celebrities on the chat show include Karan Johar, Sonam Kapoor, Sonakshi Sinha, Nawazuddin Siddiqui, Sunny Leone, Kareena Kapoor Khan to name a few.